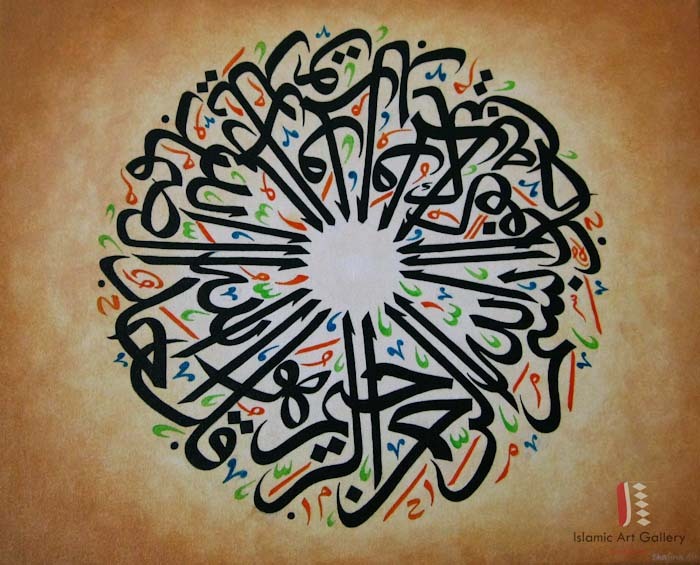 No reproduction, manipulation, or any other use of the original work or of the photographs is allowed without artist’s consent. 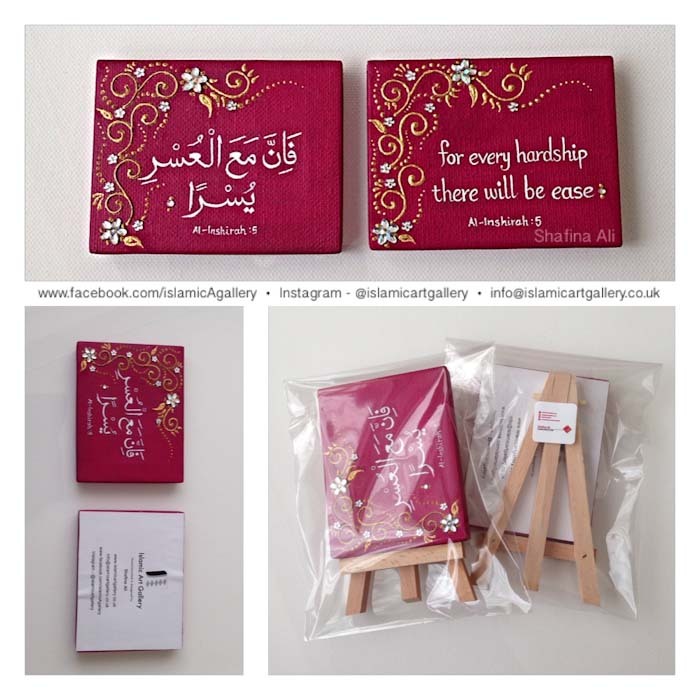 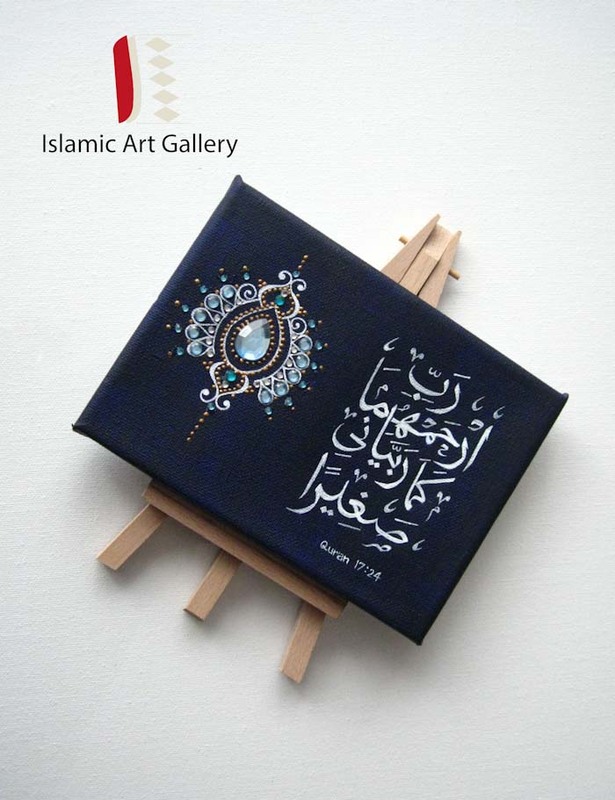 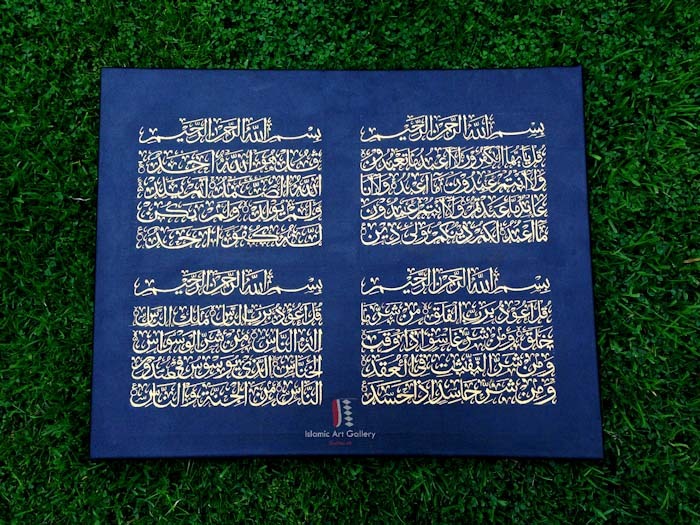 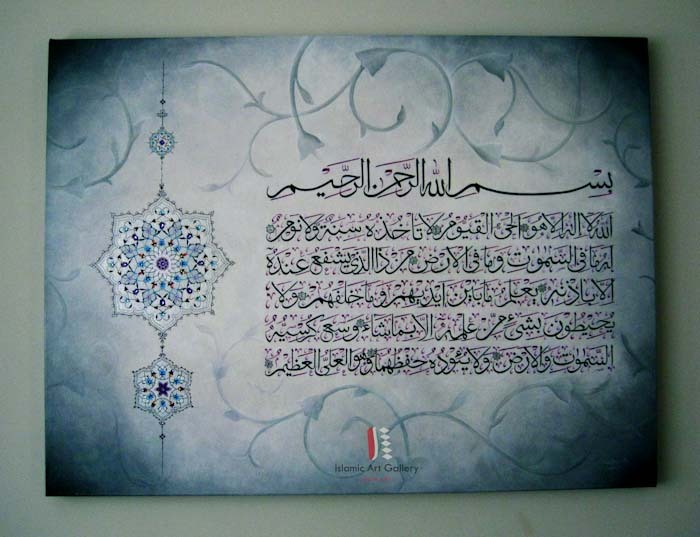 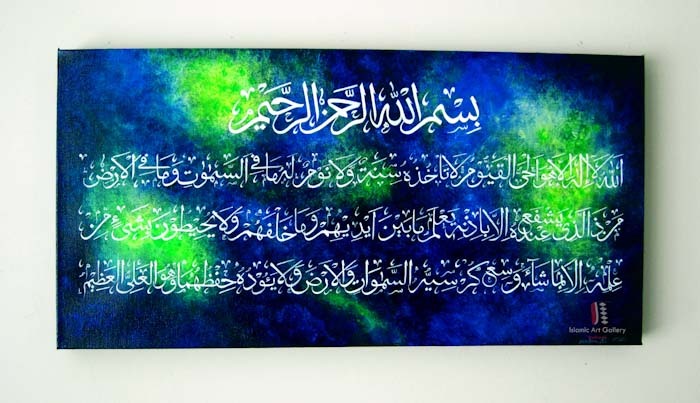 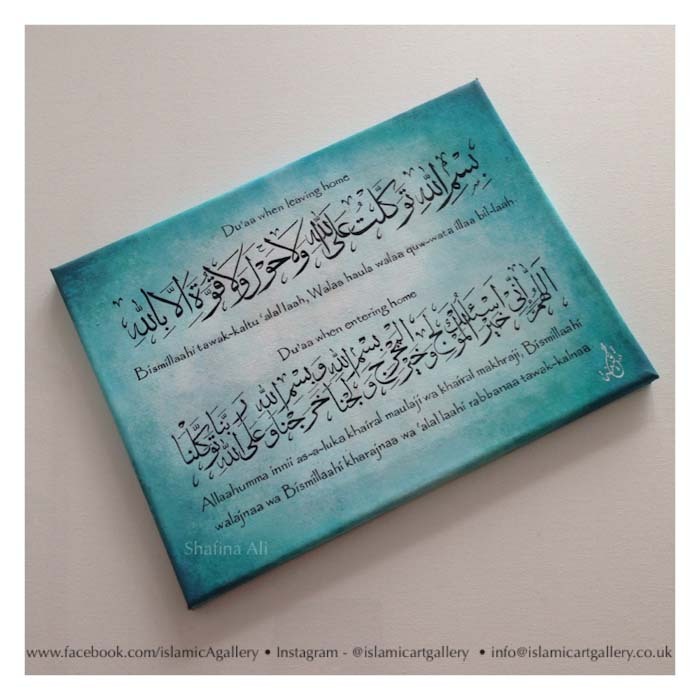 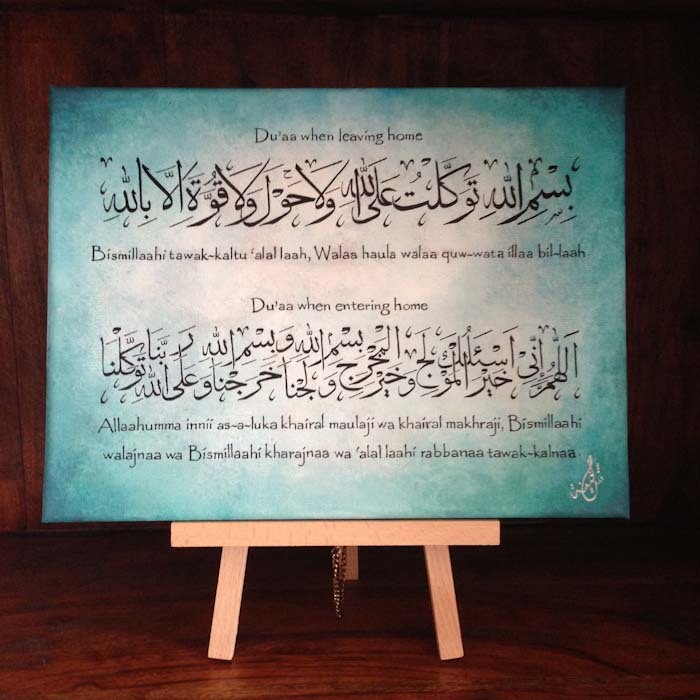 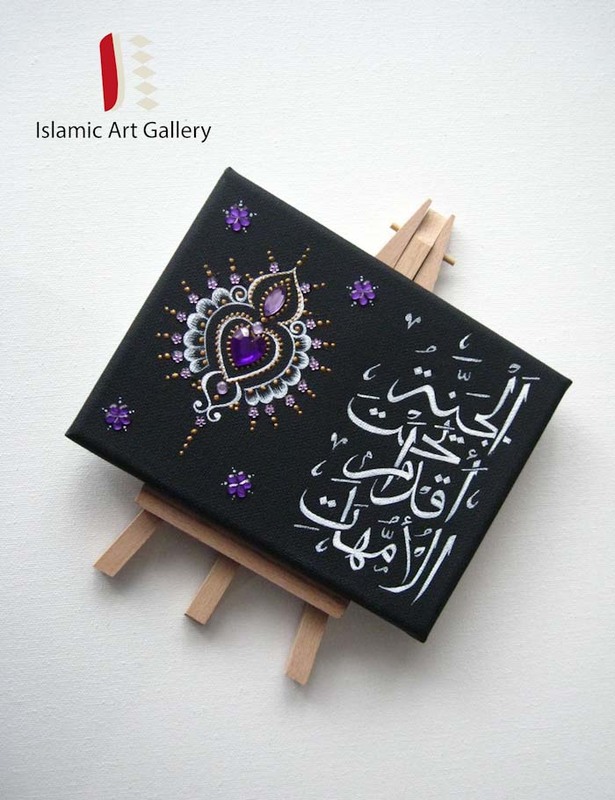 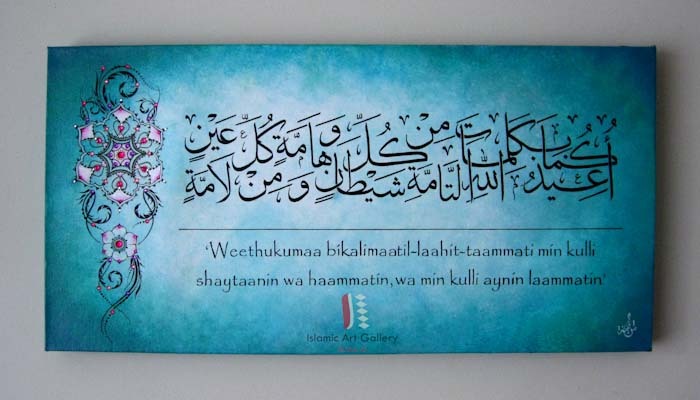 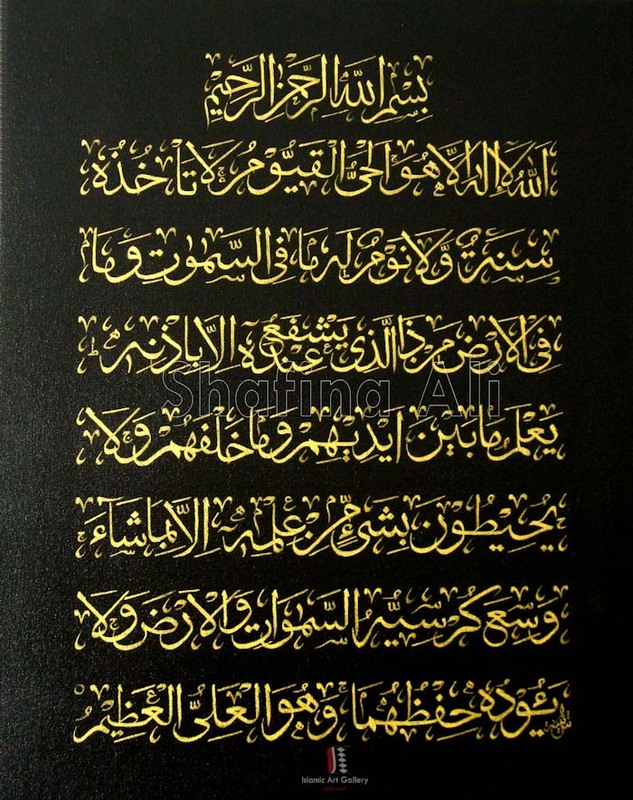 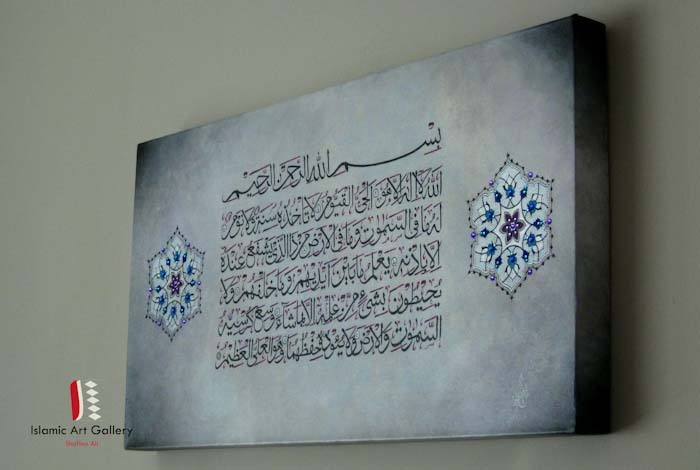 Please keep this in mind when deciding to commission an Islamic Artwork that contains Quranic verses, it is not intended as a means of protection or blessing. 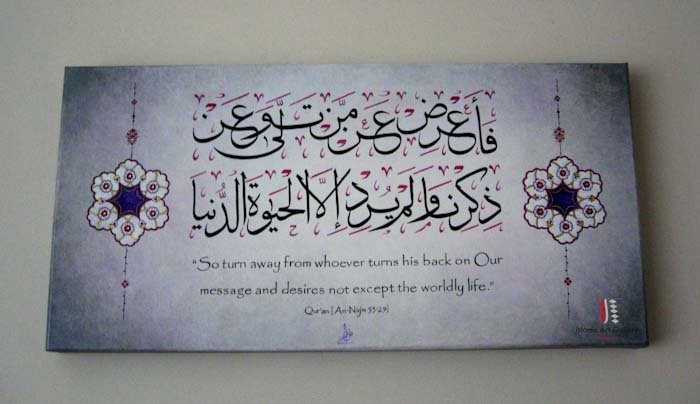 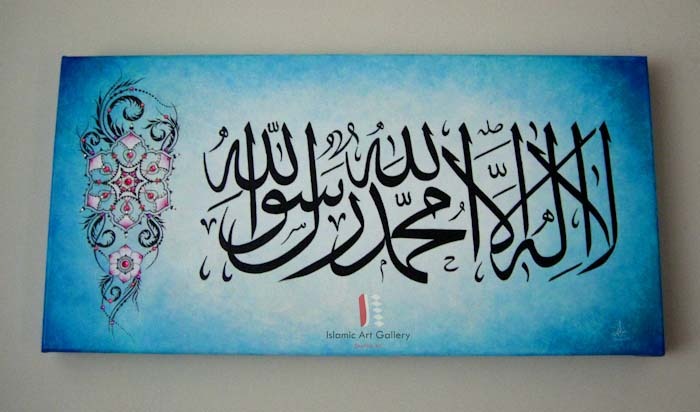 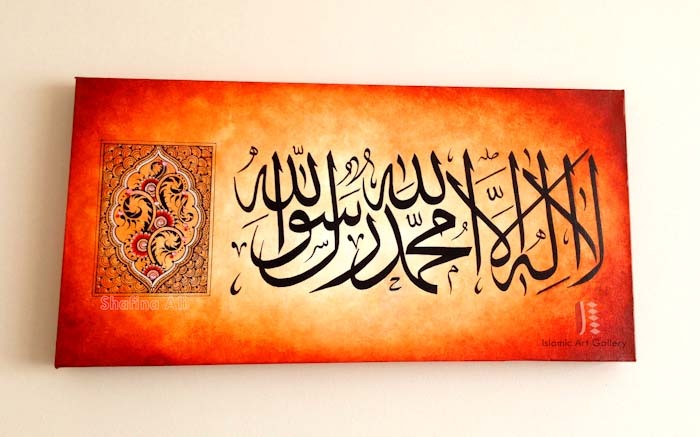 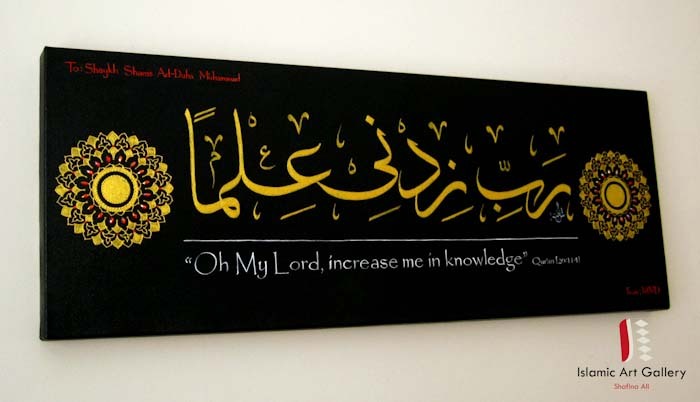 The Islamic scholars are in agreement with regards Islamic Art, so long as it serves as a way to remember Islam then it is permissible to create and allow your wall or home to be adorned with such artwork.